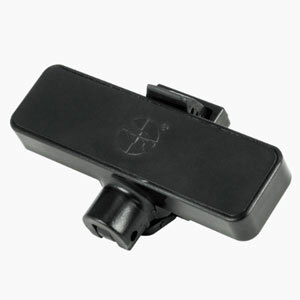 This hard tag provides versatile protection for jewelry, optical and small accessories. Four distinct clasp lengths and a 360-degree pivot provide a variety of application opportunities, helping protect more items without affecting aesthetics. The coated stainless steel clasp prevents abrasion and won’t rust, stain or damage merchandise. Available in AM or RF technology. 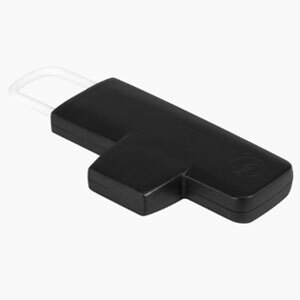 This pinless, reusable magnetic AM EAS hard tag with adjustable clip provides exceptional protection for a variety of apparel and sporting goods. 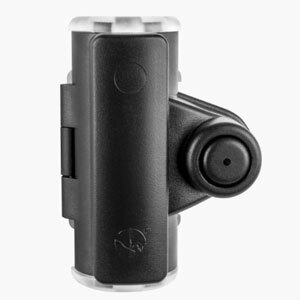 A versatile, one-piece this tag attaches securely without damaging merchandise. This optical tag offers maximum protection for eyewear without impacting the shopper experience. The tag is placed on the side arm of eyewear with the tag body on the outside, allowing customers to try on glasses without interference. Available in both AM and RF technology. 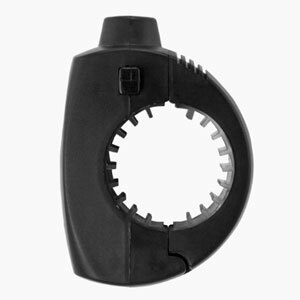 This sleek, lightweight design provides exceptional protection for high-value golf equipment. With placement on the shaft of the club and a modern look, this tag promotes a pleasant “try-out” experience with a strong visual deterrent to would-be-shoplifters. 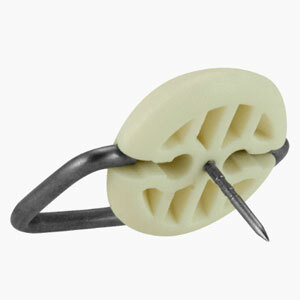 This unique hard tag provides maximum protection for hard-to-tag sporting equipment including baseball bats, fishing rods and tennis rackets. With placement on the shaft of the merchandise, the tag does not interfere with customers’ handling of equipment. 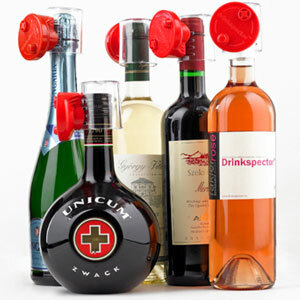 The Bottle Cap Tag provides maximum anti-theft protection for wine and spirits. This innovative hard tag fits common bottle-neck sizes to prevent theft, in-store consumption and bottle content transfer. Its slim, transparent design provides a strong visual deterrent without interfering with merchandising or brand promotion. 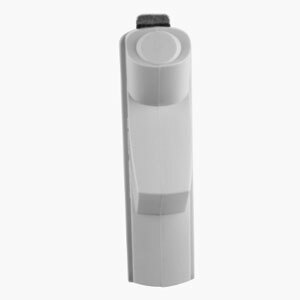 Containing both an AM non-deactivateable label and RF ferrite technology, this hard tag will alarm any EAS pedestal system if protected product passes through the detection zone. Secure compatible hard tags to soft goods of various thickness for a strong, tamper-resistant fit.